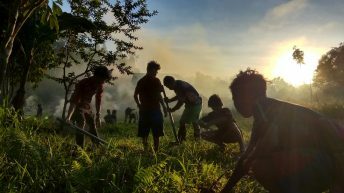 Environmentalists and Palawan leaders praise Dr. Gerry Ortega’s contribution to efforts to protect the environment and help the poor and marginalized. MANILA — A friend of the environment, the poor and marginalized. This is how various groups and individuals regard Dr. Gerry Ortega, the environmentalist and broadcaster who was shot dead on Monday in Puerto Princesa City, Palawan. Palawan leaders praised Ortega’s contribution to efforts to protect the environment and help the poor and marginalized. They said Ortega was involved in many civic and religious causes, from information campaigns about Muslim autonomy to housing projects. The community newspaper Bandillo ng Palawan, known for its environmental reportage, even named gave him its first Palaweño of the Year in 1998. He reportedly treasured the award so much he had the newspaper issue announcing his award framed. The son of a Rafael Ortega, former mayor of Aborlan town in Palawan, the younger Ortega was said to be always meant to have a career in politics. 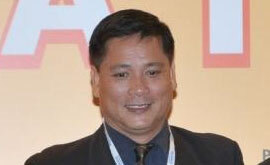 After he resigned from Palawan’s famous crocodile farm in 2000, where he was the director for 12 years, he ran for Palawan provincial board member and won. In the three years that he was a board member, Ortega was said to be the lone voice of the opposition at the same time maintaining a pro-environment, anti-corruption stand on issues. He also exposed questionable government transactions, particularly those affecting the environment. When he ran for governor in 2004, he ran on a pro-environment platform. He used plastic sacks for banners and used his family’s old jeep as his sole campaign vehicle. He advocated for transparency in government dealings and transactions, increase in allocations for programs on poverty reduction and social services. He called for the protection of indigenous people’s rights. 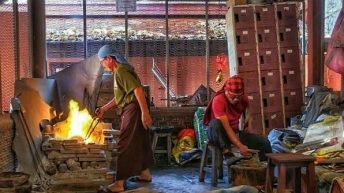 His most controversial campaign pledge was to demand a 40-percent provincial share in the proceeds from the Malampaya natural gas project. As could have been expected, he lost the elections but garnered over 38,000 votes. Ortega left behind wife Patricia, and five children Mika, Erika, Joaquin, Sophia, and Bettina. Ortega had reportedly had been receiving death threats since late 2009, when his radio program on DWAR went back on air. Her eldest, Mika, told reporters that the death threats were actually not new, but because of the hard-hitting radio program her father hosted, the threats increased in number and intensity. Individuals who knew “Doc Gerry,” as he was known in Palawan, admired his dedication to his work and his advocacy. 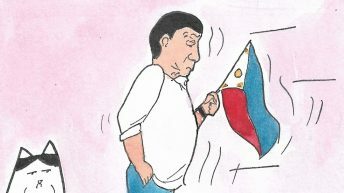 Terry Ridon, the national chairman of the League of Filipino Students, said Ortega was a staunch critic of large-scale mining in Palawan, an advocacy shared by many progressive and leftist groups. “At a very young age, he has seen the need for a people’s movement for change. In his years as a radio commentator, he had actively supported LFS chapters in Palawan and campaign against the continuous influx of large-scale mining applications consistently approved by Aquino and his allies,” Ridon said on Tuesday. Ridon said he was with Ortega on Sunday at the Estero de Paco, whose rehabilitation he was supporting. “He emphasized the importance of the people’s struggle in the fight for the environment — that without the people, without the affected communities, no genuine environmental change can ever be possible. 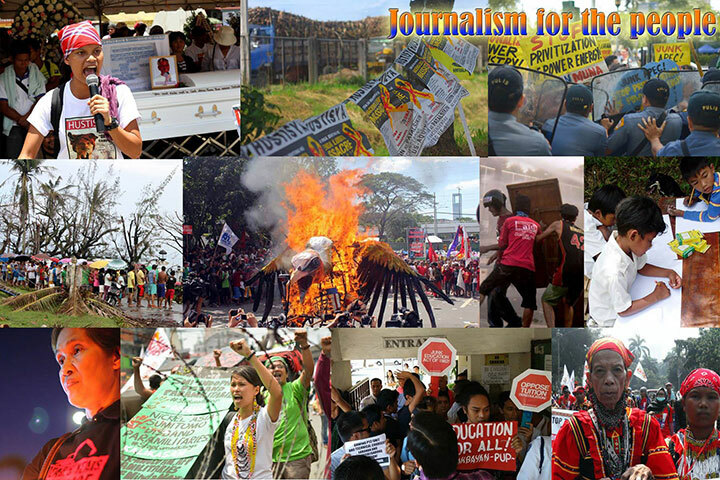 We are gravely outraged that extrajudicial killings continue under Aquino despite promises of change,” Ridon said. Elac, which has a branch office in Puerto Princesa, said Ortega’s murder will not discourage it from defending the Palawan environment and protecting it from desecration and abuse. It said that they will continue the fight that Ortega fought well. “We call on all Palaweños to assert all the more their rights and to continue to hold accountable Palawan’s leaders for all their actions, especially in the management of our natural resources and protection of our environment,” it said. 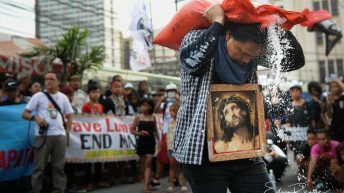 Environmentalists say Ortega’s murder was related to his stand against mining projects in the province. “The death of Dr. Ortega is a serious loss to the movement for environmental protection. Environmental defenders like Dr. Ortega continue to be targeted, hunted, and killed under the new administration,” said Clemente Bautista, national coordinator of Kalikasan PNE. 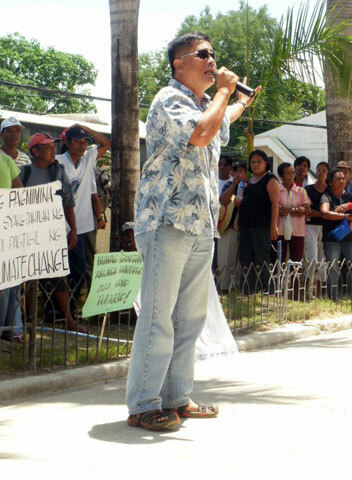 Bautista said Ortega is the first environmental advocate killed this year and 37th since 2001. Among the environmental advocates killed are 28 anti-mining activists. 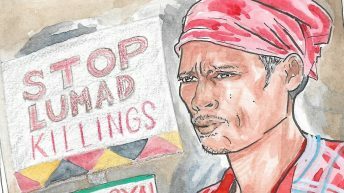 Leonard Co and two of his companions were killed doing biodiversity conservation work in Kananga, Leyte on November 15, 2010. “We believe Dr. Ortega was killed because of his active involvement in preserving the biodiversity and environment of Palawan against large-scale and foreign mining,” Bautista said. “Dr. 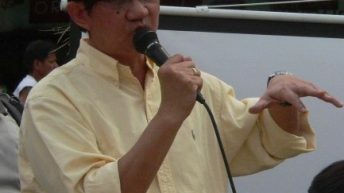 Ortega is known as a strong critique of mining projects and for advocating mining moratorium in Palawan. He exposed the deforestation, pollution, community displacements and other impacts of mining in the province. Dr. Ortega worked tirelessly to educate and convince people to oppose and not to allow mining in his province. Like him, other anti-mining activists suffered the same fate of Dr. Ortega; they were killed because of their vocal and effective advocacy for the environment and communities,” Bautista pointed out.? Gerry Ortega was a genuine caring person and passionate with environmental issues. To others they called him "Doc Gerry" or the 'Philippine Crocdile hunter". To us he was always our Kuya Gerry. From our younger days he already displayed his care for wildlife and the environment. He was the greatest cousin in the world. I just hope that justice will prevail for my beloved cousin. If this slips through or goes ignored by the present regime then my country will go down the drain and stripped of its treasures by our own corrupt officials who greed to benefit themselves and fill their pockets. There has to be a positive change! otherwise our country will always be an embarrasment with crooked government officials who bully and robbed their own country not giving a damn about the future..I hope my countrymen rise against corruption and change for the better…and if not I pitty how our country will be with diseased greedy thugs and criminals ruling the counrty. "THAT IS NOT ALLOWED IN POLITICS",in other countries he might have had a chance but in his homeland he sealed his fate,he has a sticker on his forehead saying:"SHOOT ME, I CARE" so sad……my country is dying, so sad to watch it….